I’m starting a new series on my blog called Pick 3; in this series I’ll be picking my top 3 favourite things in a variety of categories and share with you why I’ve chosen them. Note this won’t be limited to just Beauty – I plan on doing Top 3 in Travel, Fashion, Recipes, etc. The opportunities are endless and I’m pretty excited about it. So I hope you enjoy! Essie Play Date: Described as a soft, yet bright purple, this might be one of my favourite polishes EVER. It has a fantastic formula; you could potentially get away with one coat but to get the true colour you really need two coats. I always get so many compliments when I wear this shade and it’s been my go-to Spring polish for years now. Deborah Lippmann She Bop: I don’t own many Deborah Lippmann polishes but the ones I do own are highly regarded. This is described as a fresh, flirty pink cream; I would describe it more as a cool-toned pink with a hint of a purple undertone. The formula on this polish is stellar, easily buildable but fully opaque with two coats. This is a great everyday shade that is subdued enough to wear to the office but a nice step up from a neutral colour. Essie Lounge Lover: This is a new addition to my collection and its fast-becoming one of my favourites, particularly for my toes! Corals are pretty much a no-brainer for the warmer months but what I like about this one is the fact that its slightly more muted and leans more to the pink side, which is really nice for Spring. The formula is pretty good, although at times I can find it slightly patchy so there’s a two-coat minimum requirement with this one. If you had to pick your top 3 polishes for Spring, what would they be? Let me know below! Oooh Essie Play Date! <3 I have to see this in person. Totally recommend Playdate, it’s amazing! 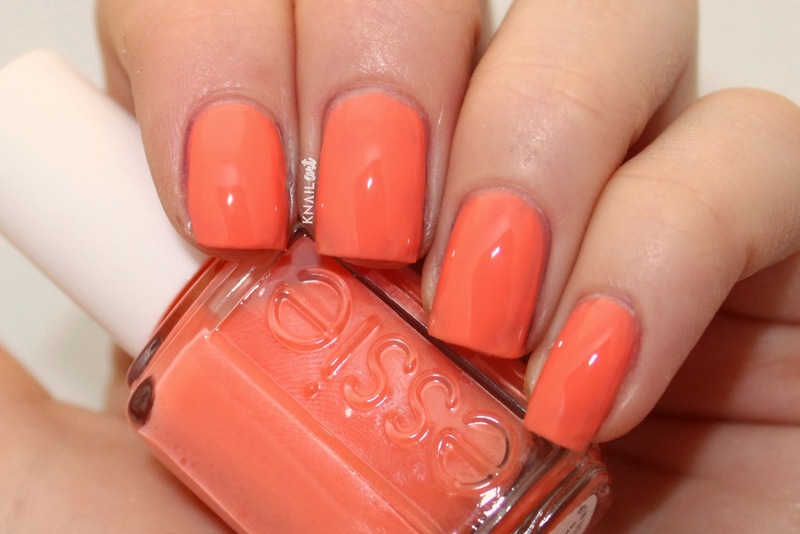 I need Essie Lounge Lover in my life!! You totally do – it’s gorgeous!